Tea ceremony. Green tea is poured from a teapot into a cup on a light background. Top view, close-up. 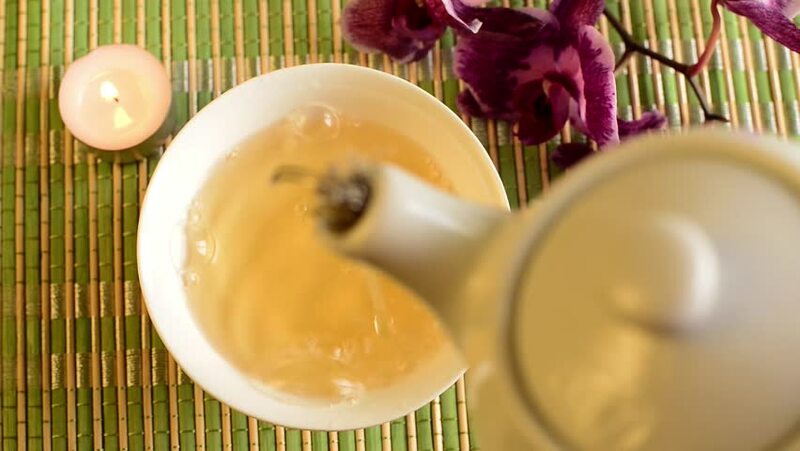 hd00:19Green tea is poured into a small bowl that stands on a light mat next to a purple orchid flower and a burning candle. Top view. hd00:13Mustard being spread on to slices of spam with an egg salad.